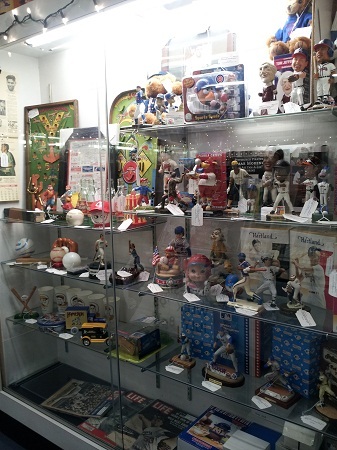 Mendy’s Baseball Memorabilia will be at the Westminster Antique Mall (Westminster, MD) on Saturday, November 17, 2012, from 1pm to 4pm, providing free appraisals of your baseball memorabilia. Drop by to have your items appraised and talk a little baseball! Have you found an old baseball souvenir in the attic? Or have you come across something that your dad saved from when he was a kid? Are you curious as to how much it’s worth? 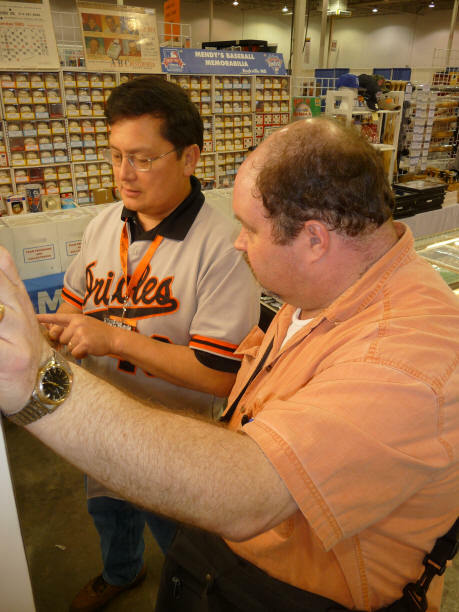 Tony gets lots of questions on the worth of baseball items, whether at shows or at the Westminster Antique Mall where he appraises memorabilia once a month. He is always happy to give his professional opinion on “what it’s worth” based on his years of experience. He has appraised old autographed baseballs, game-used bats, game programs, and many unique items. If you are in the Baltimore area and have a baseball item that needs appraising, bring it to the Westminster Antique Mall! Check our show schedule for dates and times. His next scheduled appraisal time is tomorrow, August 20. We also have a Mendy’s Baseball Memorabilia booth at the Westminster Antique Mall, Booth B69-70. Stop by and let us know what you think!